With a whole extra day to look forward to this month, how will you spend it? You could do a spot of gardening or clear out that loft; tasks that you’ve been putting off since the last leap year. Or, you could do something a bit more exciting and really make the extra day count by leaping into your car and taking off somewhere nice for the day. A day trip can be an exhilarating as well as a nostalgic experience as we look back fondly on long car journeys to the seaside, or for a day out in the countryside with cries of: “Are we there yet?” echoing from the kids in the back seat. In the UK, we are lucky to have some of the most picturesque views in the world, so what better way to explore these than on four wheels? Let us guide you through five of our favourite UK road trips to inspire you to get in your car and make the most out of your extra leap year day. There’s nothing better than getting in your car and heading off for an adventure, especially if you have children to entertain. Travelling to far-flung destinations is, of course, not an option for a day trip. However, if it’s a taste for something exotic, how about getting up close to wildlife instead? Safari parks are a great option for a family day out and their rise in popularity over recent years means we now have a great selection to choose from in the UK. So wherever you live, you’re never too far away from a Siberian white tiger or a Chinese water buffalo. What must you consider for a Safari Park visit? Always make sure that your locks and windows are working correctly. We’ve all heard the tale of the monkey creeping in a car through the window. It’s rare that an animal will try and enter your vehicle but ensuring your locks and windows work properly will reduce the risk. Make sure your tyres are the recommended pressure too, there are not many things as dangerous as having to change a tyre in the lion enclosure! Ensuring your vehicle has ample fluid levels is also important. Originating from our friends across the Big Pond, the car boot sale has become a firm part of British identity over the last forty years. No two car boot sales are the same, so whether you’re a seasoned professional or a first timer, there’s one to suit most tastes and their popularity means you won’t have to look too hard. Car boots can be the perfect place to find a bargain, or maybe you could sell some of your own goods, so you may get the chance to clear out that attic after all! What must you consider for a car boot sale visit? The obvious thing to think about if you are driving to a car boot sale with your vehicle full of goods, is the effect that extra weight can have. Make sure you find out how much weight your vehicle can manage via the handbook. By all means fill the boot, but don’t have too many items on passenger seats and laps. These can be a health and safety hazard and can restrict visibility when driving too, particularly if you store something on the parcel shelf above the boot. Having too much weight in your vehicle can also affect the suspension and handling, not to mention your tyre pressures. A day out in your car doesn’t have to be a sedate experience. For those of you who have more adventurous tastes and fancy yourselves as the next Jackie Stewart or Lewis Hamilton why not head down to your nearest race track? There are ”track days” all over the country, including the haloed track of Silverstone meaning you can keep your driving dreams alive. What must you consider for a race track experience? Unsurprisingly, these places will not let you drive your own car round the track! Having said that, it is always a good idea to perform basic maintenance checks before you travel to the track, such as inspecting fluid levels, checking tyres and ensuring all lights and signals work correctly. Everyone seems to lead such busy lives these days and we now live in a more mobile society with family members spread far and wide. If you’ve been promising your family or a special friend that you will ‘catch up soon’ then now is your chance. Why not make your extra day really count and go and see your loved ones. They will appreciate it! Everyone will have a fun day, and you will feel good that you made the effort. What must you consider for a family get together? If the reason you don’t visit your family as often as you should is because they live miles away, then it is always a good idea to carry out basic car maintenance checks prior to heading off. Check your fluid levels, tyres, lights and signals. Try and clear out your boot if you can, as carrying unnecessary excess weight can waste fuel. And if you still haven’t figured out where Aunty Maureen’s house is, make sure you plan your route first. Sat Navs are great but remember they are a driver aid, not a substitute for common sense and awareness. The road trip isn’t the sole preserve of the Americans. Great Britain has some of the most breath-taking views and a range of rich heritage to offer, meaning that if you take off on a trip in your car, you’re never far away from something special. From the rugged views of the Peak District, the brooding cliff tops of Cornwall or the highest mountain pass in the country at Kirkstonein the Lake District, the UK has so much to offer and what better way to explore than in your car. Make the most of your extra day, pack a picnic and get out there and explore. What must you consider before seeing the sights? Some of these destinations introduce rugged and difficult terrains for your vehicle so make sure that you don’t try and drive through areas that your car just cannot manage. Consider parking up somewhere and taking some of the journey on foot – a bit of exercise is good for everyone. Setting off on a road trip is an exciting prospect for the whole family but before setting off how can you make sure both you and your car are prepared to ensure the journey remains stress free and enjoyable? Car checks will already be something you schedule on a regular basis, but are even more vital when planning a long trip. If you’re not quite sure which parts of your car you should be checking always remember POWER: Petrol, Oil, Water, Electrics, Rubber (tyres). Ensure you have plenty of fuel and your tyres and engines are in good condition. It is also worth checking that your lights are in good working order ahead of your trip too. If you are unsure how to check any of the parts of your car, take it to your local Trust My Garage member who will be happy to checks these for you and will guide you through the process too. Don’t forget if you’re travelling with children, keeping them entertained is an important consideration. Little things can make a big difference, how about preparing a travel pack for example? Collecting together inexpensive items such as colouring books, magazines or their favourite toy will ensure they remain entertained and the whole family happy has a stress-free journey. For older children how about some in-car entertainment in the form of an iPad or digital camera, meaning they’ll never be stuck for something to do, and finally why not compile a road trip soundtrack too, get the whole family involved to ensure everyone’s favourite songs are included. Winter is upon us once again. And while we may not be certain of a flurry of snow every year, you can be certain that the Great British weather will throw a combination of wintery gifts our way, bringing difficulties for all of us, especially car drivers. It’s the time of year when you don’t just need to start making changes to the way you drive, but also to the way you look after your vehicle. 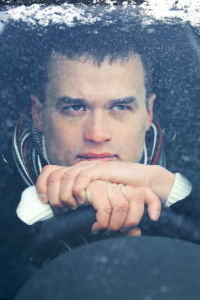 Breakdowns are far more likely at this time of year due to poor weather conditions. So what can you do yourself to ensure this doesn’t happen and you have a hassle free winter? Now that the nights have drawn in and it’s dark from mid-afternoon, visibility is a key consideration when driving. Not only are lights essential for you to be able see when driving, but also to ensure other drivers can see you. Regularly check that all the lights on your vehicle are in working order, this includes brake and reversing lights. Ensure that they are clean, especially after wet weather when the roads are muddy, and that the lights are aimed in the right direction and if you find any bulbs that are discoloured, they should be immediately replaced. It’s a case of making sure you check them regularly. The winter months can be very wet and sometimes puddles can be difficult to avoid. When driving through a puddle, make sure you test your brakes afterwards by driving at a slow speed and gently applying pressure. Listen out for warning signs, brakes will let you know when there is a problem whether this is through grinding or squeaking. Sometimes your car will act like it has a mind of its own and pull you to one side while driving, which could indicate a fault with the braking system. Look out for the signs and don’t ignore them. Vibrations and temperamental pedals are also a sign you need to take give your car some attention. Remember, that you can always take your car to a Trust My Garage member to get the brakes checked. It’s better to be safe than sorry. A basic consideration for any car owner when carrying out maintenance checks is to understand the importance of keeping your vehicle well lubricated to ensure it remains in optimum condition and working order. Falling temperatures mean that car fluids will thicken, making it difficult for your vehicle to get the right fluids it needs to run properly. Make sure you regularly check your oil levels, coolant and brake fluid. If you’re not sure how, visit your local TMG member. You can find them using the search function on our website or by using the Trust My Garage app. The importance of robust car tyres cannot be understated, as they are the only part of your vehicle that grips the road; they play a vital part in keeping you and your vehicle safe. Wintery conditions and low tread depth can be a disastrous combination, reducing both your speed and grip. Without sufficient tread depth in wet conditions you may experience a particularly dangerous occurrence called aquaplaning. This is where tyres lose contact with the road surface and travel on top of the water’s surface. With no contact with the road, comes the inability to accelerate, brake or steer properly, and you are likely to lose control of your vehicle, thus significant increasing your risk of accident. When checking tyre tread it is best to use a tread depth gauge rather than relying on intuition. With this implement to hand, measuring tread depth is not difficult and will take up only minutes of your time. For passenger cars, the European legal minimum tread depth is 1.6 mm, across 75% of the tyre, although the deeper the depth the better grip you will have – we recommend that you consider changing your tyres when the tread depth reaches 3mm. Check the depth of the main tread grooves in several places across and around the tyre, using the gauge. In addition, tyres have tread wear indicators in the base of the main grooves. When the tread surface is worn to the same level as these indicators, the tyre is at the legal limit and should be replaced. As a temporary alternative there is also a quick test with a 20p coin if you do not have a gauge to hand. Place the coin in the groove of the tyre and if you can see the inner edge of the border of the coin, it means your tread depth is less than 3mm and you should consider replacing that tyre. Check what the tyre pressures should be before you start the pump, you will find this information in your user manual and often on a sticker on the hidden side of the driver or passenger door. Remember that your front and rear tyres may need different pressures. Go round the vehicle with the pump, checking the pressure on each wheel and inflating/deflating as required. Regularly inspect the condition of the tyres and make sure there are no cracks or bulges, make sure there are no obvious cuts or tears which could lead to a blow-out or puncture and of course don’t forget that spare! If you are unsure about your tyres, a visit to your local Trust My Garage member will give you peace of mind and keep you safe on the roads. Such checks shouldn’t replace regular visits to your local Trust My Garage member for some expert advice; but being aware and prepared for all eventualities will give you peace of mind and a stress free winter. Ideally you should be checking your wheel alignment as often as you get your car serviced and every time you have a tyre change! OK- how many of you just winced because you never check your wheel alignment, or have never even thought about getting it checked? If it has never seemed important, here are the top 5 reasons why you should be checking regularly that the wheels of your car are perpendicular to the road and parallel to one another. Badly aligned wheels will result in your car being pulled to one side of the road ultimately putting everyone in the car at unnecessary risk. Think of it like driving in wet or icy conditions. By not regularly getting your wheel alignment checked you are unintentionally making driving an unsafe practice. You wouldn’t initially think it, but when your wheels are not properly aligned it adds extra pressure on your tyres and they push against each other. This then creates higher resistance between your tyres and the road, making it harder for your car to move forward, and consequently using up more fuel. In addition to this the extra fuel usage means you are burning more fossil fuels which significantly harm the environment. These days, everybody is trying to reduce their own carbon footprint and by making sure your wheels are correctly aligned, you can manage your emissions. The extra fuel usage needed to move your car forward when poor alignment is causing your wheels to fall under extra pressure, means that more fossil fuels are being burned and you are inadvertently contributing to global emissions. By having your wheel alignment regularly checked, you can help to improve your own carbon footprint. New tyres can be a real drain on your bank account, and the price of wheel alignment at a garage is likely to be a fraction of the cost of brand new tyres. As mentioned, badly aligned wheels add more pressure onto your tyres – and this burns the rubber much faster. 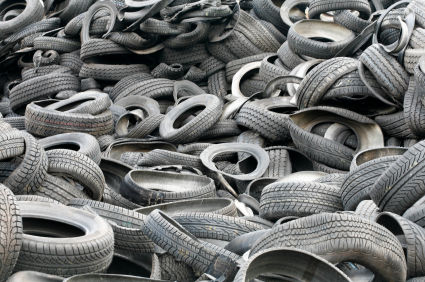 If you read our previous blog HERE on tyre depth, you will see that bald tyres are extremely dangerous and costly – so you need to keep an eye on these for both your safety and to save money. 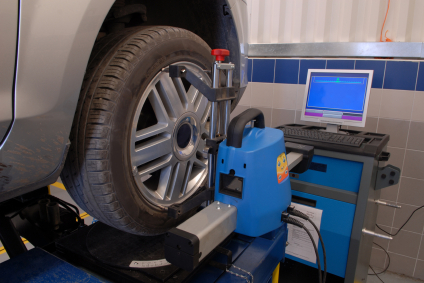 Trust My Garage advises that you get your wheel alignment checked every 6,000 miles or every six months. Get your nearest Trust My Garage member to cast their expert eye over your tyres for peace of mind. You can find your nearest member HERE.